Choose to receive alerts by email, text or a phone call. For convenience, we recommend text alerts. We will contact you when there’s an outage in your area, let you know the cause of the outage and when you can expect power to be back on. 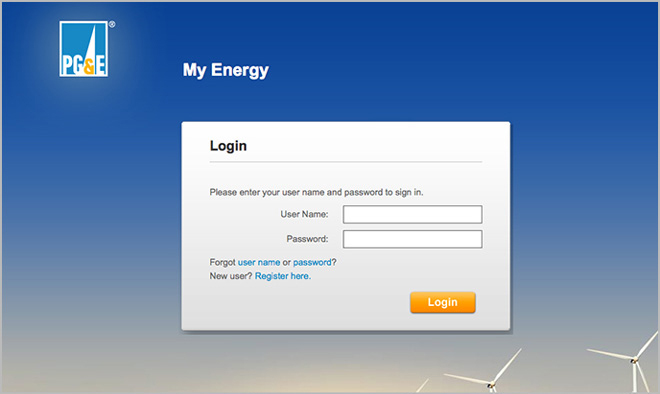 Set up outage alerts by first logging in to your online PG&E account. Log In Now »Don’t have an account? Next, under Alerts, go to Outages. 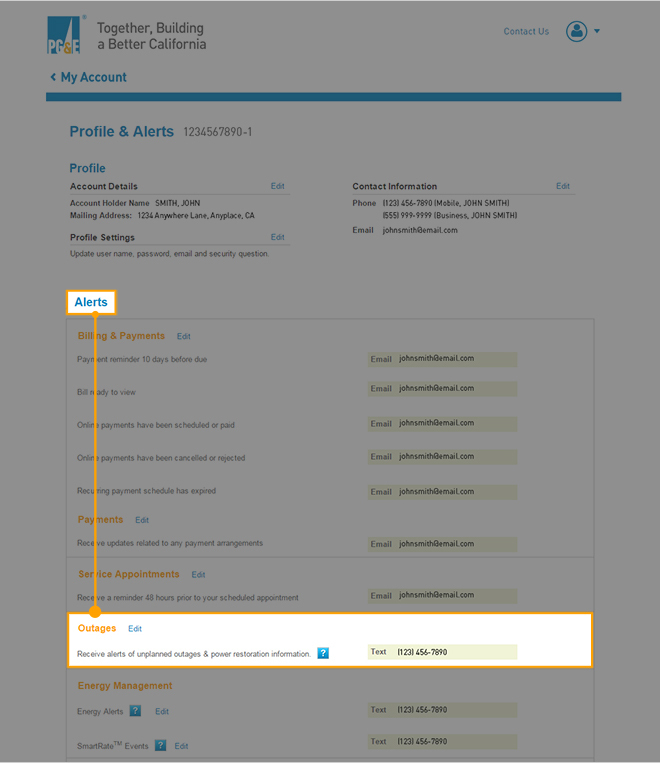 Select edit to add your text or email contact information. 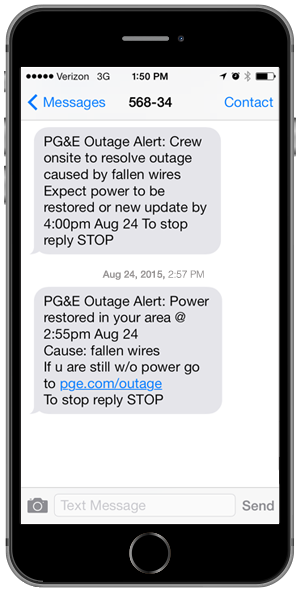 Ready to set up outage alerts?